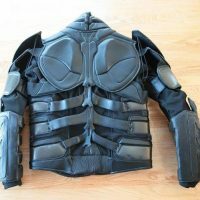 GeekAlerts has shown you some pretty cool motorcycles (UNO III Streetbike Transformer, Tron Light Cycle) in the past, but what you really need to stand out is the right motorcycle suit. 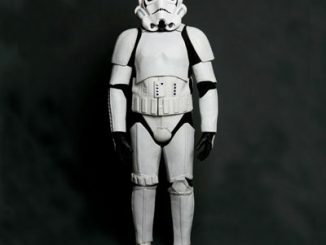 Star Wars fans get to live out their dreams with the Leather Stormtrooper Suit and now Dark Knight fans can do the same. 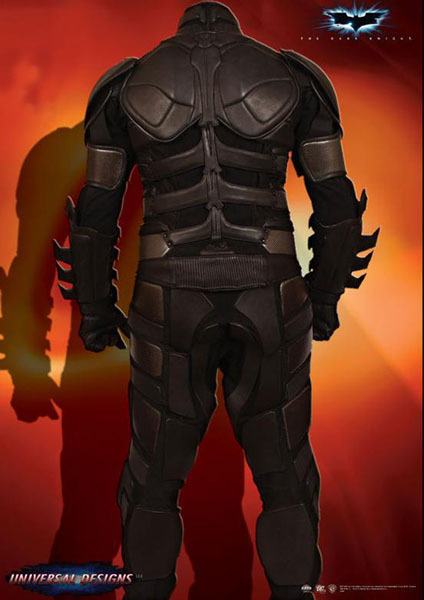 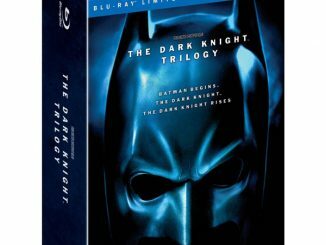 Designed after Christian Bale’s Batman suit worn in The Dark Knight, this officially licensed Dark Knight Batman Motorcycle Suit gives you the opportunity to put on the legendary outfit that has instilled fear in evildoers all around Gotham. 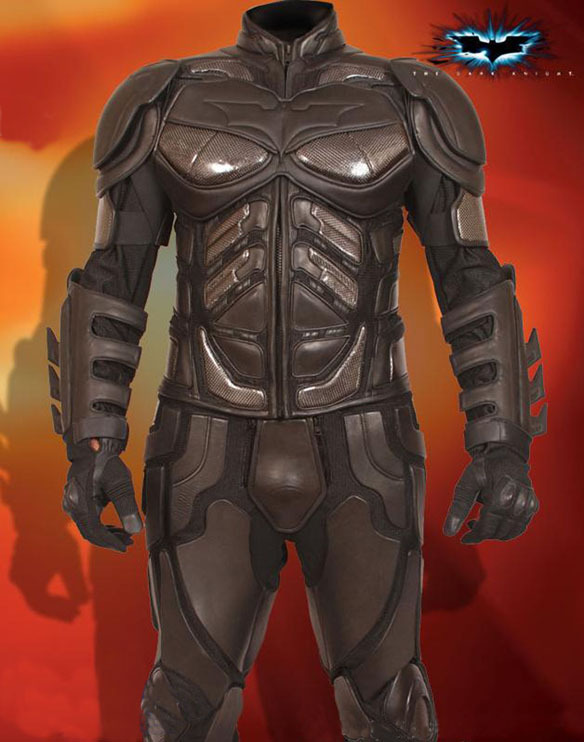 Sadly, you can’t get your hands on the Bat-pod yet, but this suit will bring fans closer to the action than they have ever been. 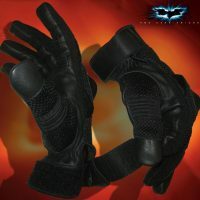 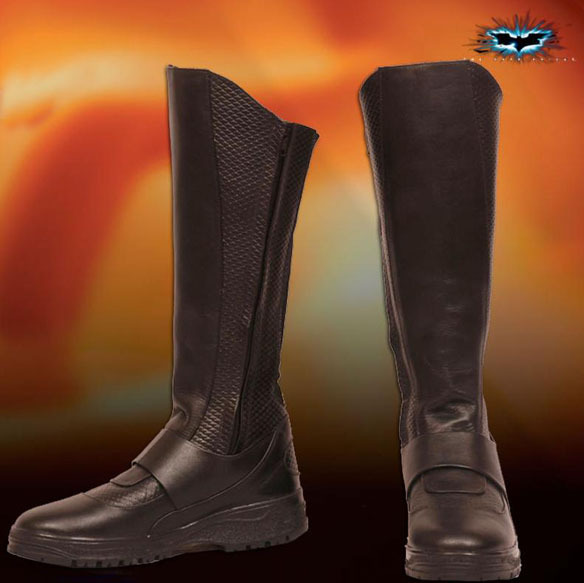 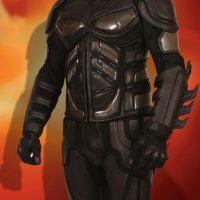 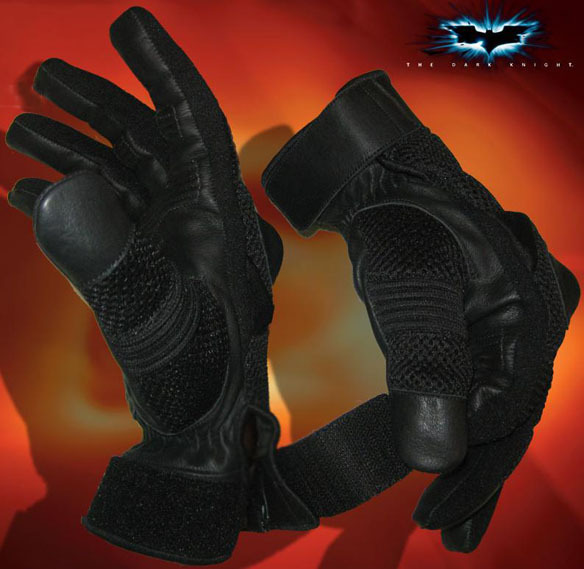 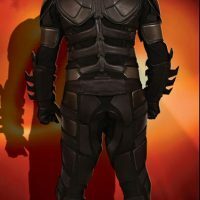 Besides looking cool, this leather suit offers cutting edge performance and safety with the segmented armor sections that allow for a great range of motion whether riding or walking the streets Batman style. 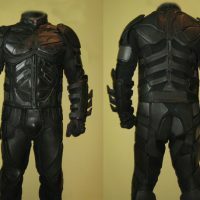 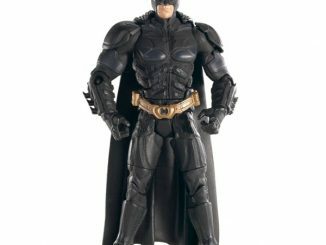 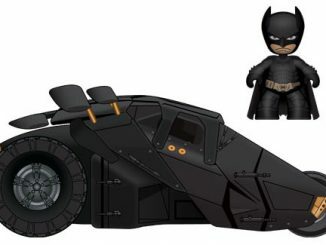 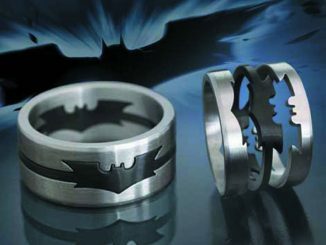 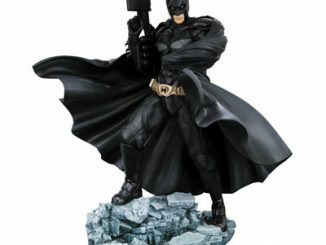 Even if you don’t have a motorcycle, this collectible suit will make for one of the most authentic Batman outfits around. 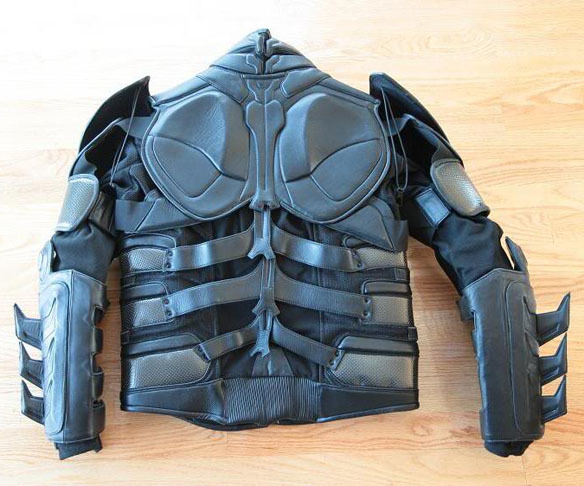 Our replica leather motorcycle suit makes no compromises in form or function. Every element from the jacket, pants, boots and gloves was designed from the ground up using the actual movie suits as templates. 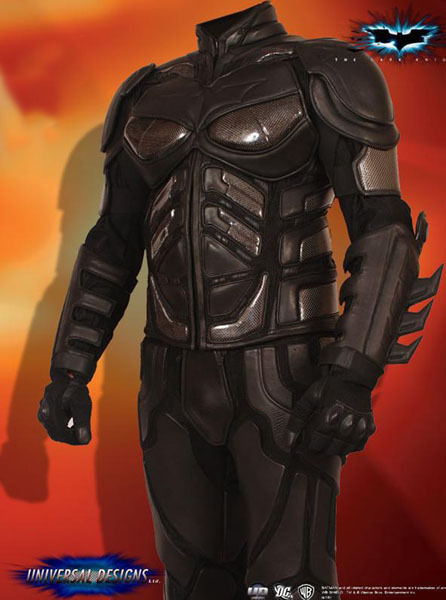 Make no mistake, this is not a costume. 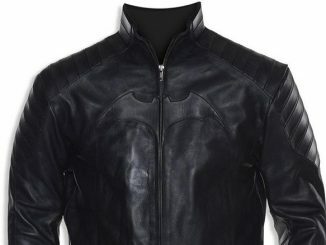 While paying tribute to all the on-screen design elements, our suit is engineered for the serious motorcycle rider, offering a level of protection and flare the Dark Knight himself would approve of. 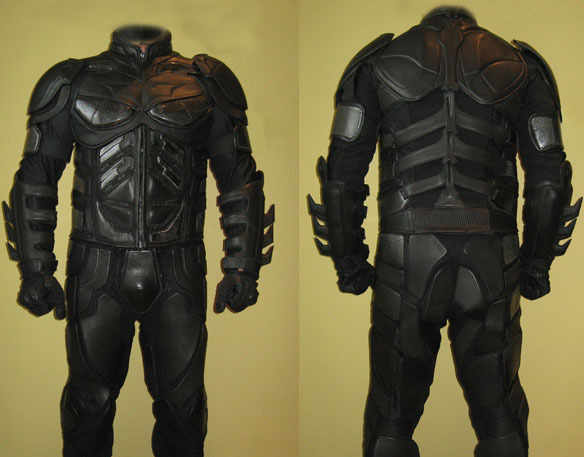 Get into your alter ego much the way Bruce Wayne did with this street legal limited edition Dark Knight Batman Motorcycle Suit for $1,296 CDN. 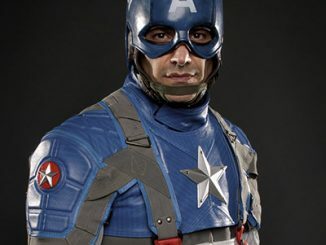 UD Replicas is only making 450 of these suits so you better act fast. 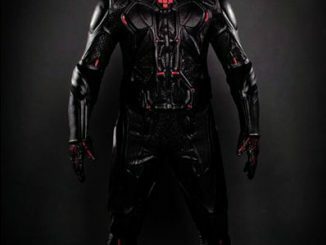 If you don’t want the complete suit, that’s ok. 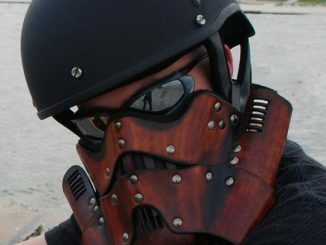 They are selling the individual pieces starting at $98 CDN only at UDReplicas.com.